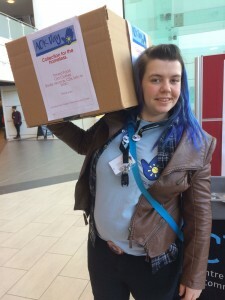 The students and staff at UCLan Burnley shared random acts of kindness across the campus and through the Burnley Town Centre – mirroring the Preston Campus AOK Day, organised by Dr Lorraine Dacre Pool, Senior Lecturer in Employability and the Centre for Volunteering and Community Leadership. From hugs to giving someone a brew and a cookie, the UCLan Acts of Kindness Day was a resounding success. The day-long event included random acts of kindness at the campus, giving out balloons, and hugs to make someone smile. There was also a Kindness Kabin that people could visit to make friendship bracelets, donate clothing for the Emmaus charity that supports the homeless or make a pledge to carry out an act of kindness in the future. Student volunteers went out into the community dressed as characters offering hugs to the local community and spreading the word of kindness. Cards and cookies were passed to each person we saw with the instructions to pass it on so the kindness could be spread from one person to another. UCLan is believed to be the first university in the UK to hold an event of this kind for staff, students and the general public. 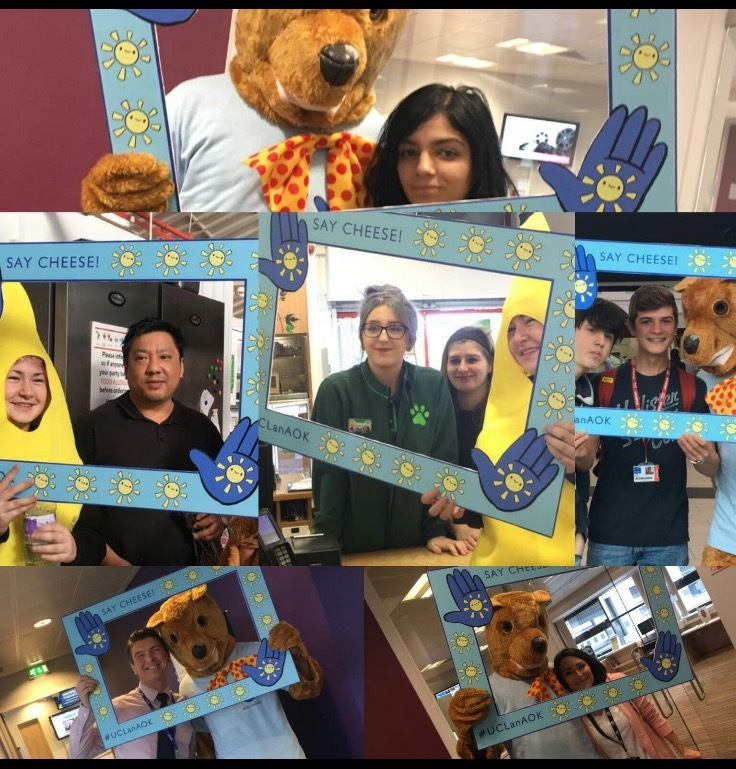 The event proved to be very popular on Twitter as people shared their kindness experiences on the day with the hashtag #UCLanAOK trending as the second most popular in the North West with a reach of almost 175,000.